For the past two months, two massive groups of EVE pilots, the coalition CFC and the alliance Test Alliance Please Ignore (shortened to TEST), have been waging war over the Fountain region. These two gigantic war machines were both coveting the valuable moons in the region after the changes to moon mineral distribution in Odyssey, our latest expansion to EVE Online. TEST had previously taken the region from IT Alliance in 2011 and had been comfortably holding it ever since. However, in the past week, the war had turned against TEST, and the CFC was beginning to make steady progress. 6VDT-H in Fountain was the traditional home system for TEST in the region. While not strategically important at the time (TEST had moved to Karan), it was where the alliance had previously staged itself when Fountain was invaded. Recently, the CFC damaged the station enough to activate its shield reinforcement timer, which gives the station invulnerability for a limited amount of time before having to be repaired. When this happened, TEST decided to drop everything to rush to its defense, deciding to make it their symbolic last stand. If the station timer was lost, it would likely mark the end of any resistance in Fountain from TEST, and decide the outcome of the entire campaign. With this in mind, both sides made the call far and wide for every ally to bring every possible pilot and every possible ship to attend. CFC managed to gather a number of large battleship-class Megathron fleets, while TEST assembled battlecrusier-class Prophecy fleets of their own. Both sides had in excess of 1,500 pilots, with reports of CFC’s force totaling over 2,000. Earlier that day, CFC’s forces in system undertook a cunning plan to take control of all the moons in system, assembling large outposts armed with large arrays of weaponry. This would provide safe haven for their own forces, and deny it to their enemies. This, alongside any gatecamps on the system’s exits meant that when the assembled TEST horde descended up 6VDH-T, they would either emerge victorious, or die trying. Just before 21:00 UTC, with the station about to come out of reinforcement, TEST moved their forces into the system by using a number of Titans to rip open portals directly to the system. CFC’s Megathron fleets were already surrounding the station in a massive cloud of battleships, waiting for the onslaught to begin. The number of pilots in system quickly spiked to just over 4,000 as the two sides began the final battle for Fountain. With so many ships in system, our system for accommodating such large battles kicked in. Named Time Dilatation, (or TiDi for short), this system slows down time in the system to give the servers enough time to process all the commands from thousands of players. For most of the battle, time was moving at only 1/10 of its normal speed, with ships firing and explosions going off in slow motion. In total, 19,070 seconds of simulation were lost to TiDi. That’s five and a half hours! . 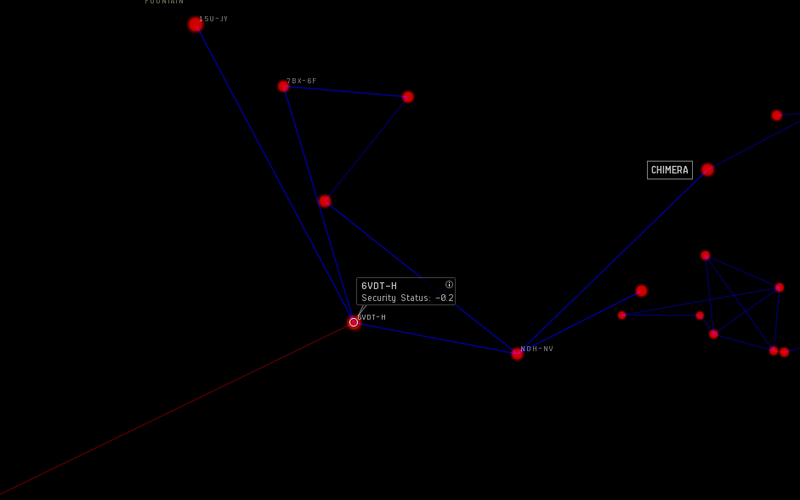 With this system, the node supporting this fight was maintained and the battle was not brought to an abrupt halt. With the numbers and firepower on the CFC’s side, the battle began to turn against TEST. Deadly bombing runs claimed as many as 60 ships at a time, sometimes killing as many friendly ships as they did hostile; Goonswarm Federation ships claimed 15 of their own. The sheer number of ships meant that many ships were destroyed instantly by sheer weight of fire, with even notoriously tough ships such as Damnation Command ships being vaporized in mere moments. Eventually, the CFC warped in its capital fleet, comprised of dreadnoughts packing massive firepower and carriers with incredible battlefield triage abilities. These powerful ships are expensive, and are only committed in the most important fights. The moment they arrived, they began unleashing a torrent of firepower into the now dwindling TEST fleet. At this point, seeing that the situation was beyond hope, TEST gave the order to scatter. But with the system’s exit gates camped and the moons covered in hostile guns, there was no escape. Faced with inevitable destruction, they decided to make one last charge. Warping almost directly on top of the capital fleet, they made a last ditch effort to take as many of them as they could before they were all destroyed. In total, reportedly only one lone Dreadnought died as the remains of the TEST fleets were destroyed. With the TEST fleet scattered, the station was put into its second reinforcement timer and jumped back home to their staging system to ready themselves for the next assault. TEST alliance has declared that it will not continue to contest the region any further and has begun to pull back to Delve. With the battle for 6VDT-H over, the war for Fountain will most likely come to an end. Whether or not CFC will decide to continue their march into Delve is yet to been seen. In all, 2591 ships were destroyed, including 621 capsules. 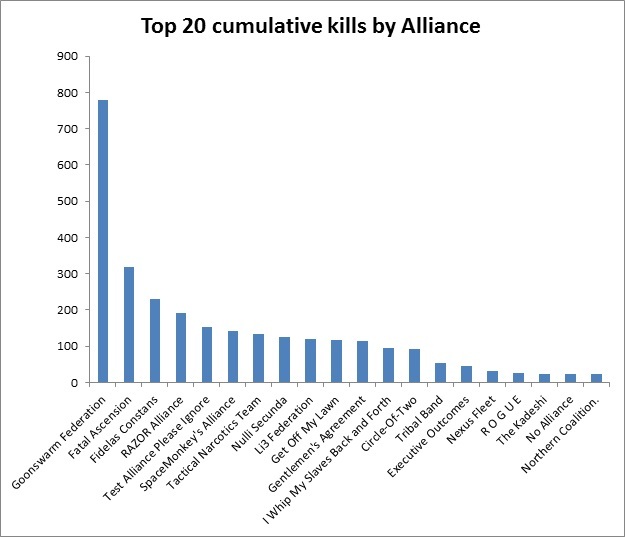 The majority of these kills were by Goonswarm Federation with 678 kills, followed by Fatal Ascension with 244 kills. The most dangerous ships on the field were the groups of Stealth Bombers, claiming a total of 783 kills, followed closely by Battleships with 566 kills. 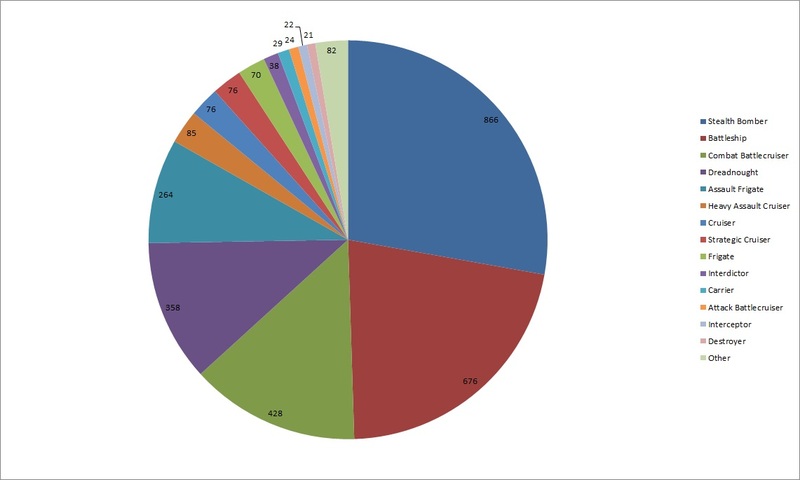 The highest number of players in system at one time was 4070, beating the old record of 3615 set in P-2TTL in 2010. While the battle was raging, a few brave pilots set out for the system to stream it to the world so everyone could watch the carnage unfold. This included Mad Ani, Daopa, and a stream from the TheMittani.com featuring CFC fleet commander DBRB (Da Big Red Boat) as he commanded a stealth bomber wing. Over 10,000 people watched the battle raging live across the globe in real time. So that’s the battle for 6VDT-H, the largest battle of EVE Online so far and by all accounts the largest “space battle” either in gaming history or real-world history. Remember, this battle was not arranged by CCP, the developers, for the players to fight. 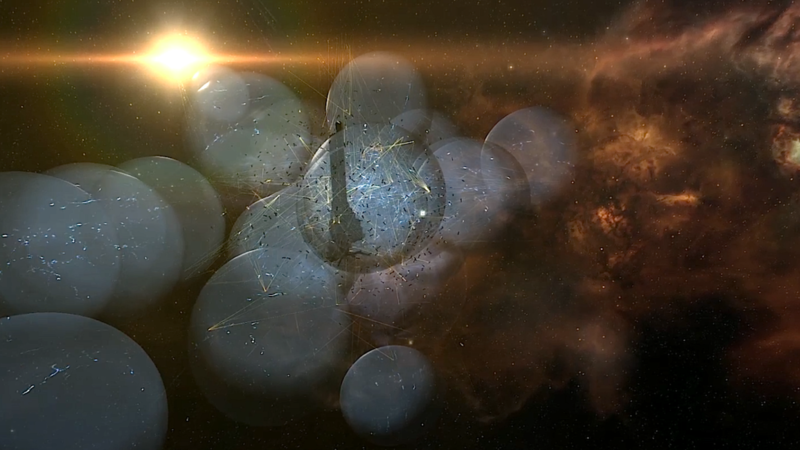 This is two groups of thousands of players waging their own war within the sandbox universe of EVE Online—building up “castles” and knocking them down. This fight was much more than just a station: this was a last stand by an alliance for an entire region in a months-long war. This fight affected not only the 4000 pilots in system, or even the many more thousands in the alliances involved. 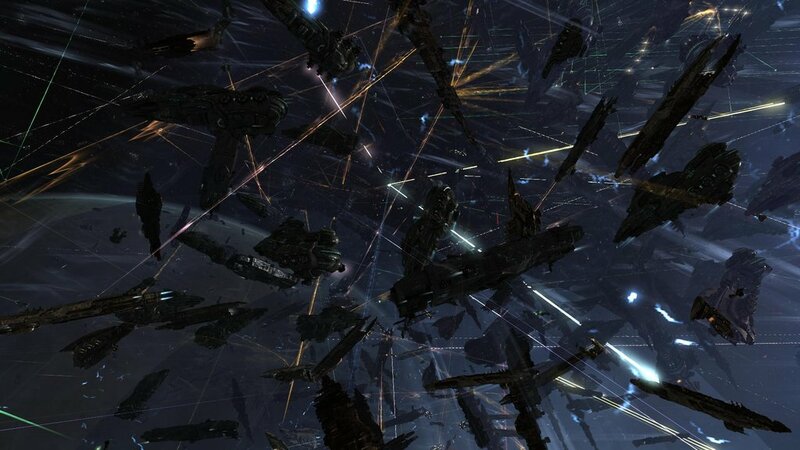 The effects of this battle will reverberate throughout EVE Online to nearly every pilot for years to come. What comes next? We’ll just have to find out. 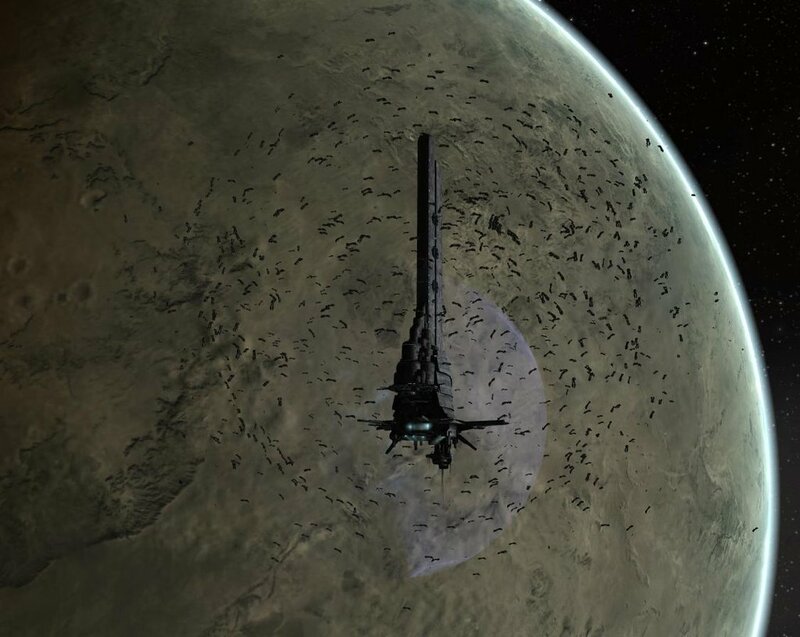 If you want to be a part of the EVE universe and mold it in your image, you can get a free trial at www.eveonline.com. Even a single pilot in a fragile frigate can make a difference in such a conflict.